The Easter holiday is the most important time of year for this iGCSE Biology blog. With exams in early May, the next few weeks should be the time when students are working at their maximal rate. I intend to add one post a day such that by the middle of April, the entire EdExcel iGCSE Biology specification has been covered on this blog. 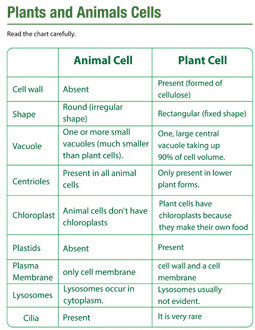 This should then make it a useful resource for all GCSE Biology students to help them with their revision. 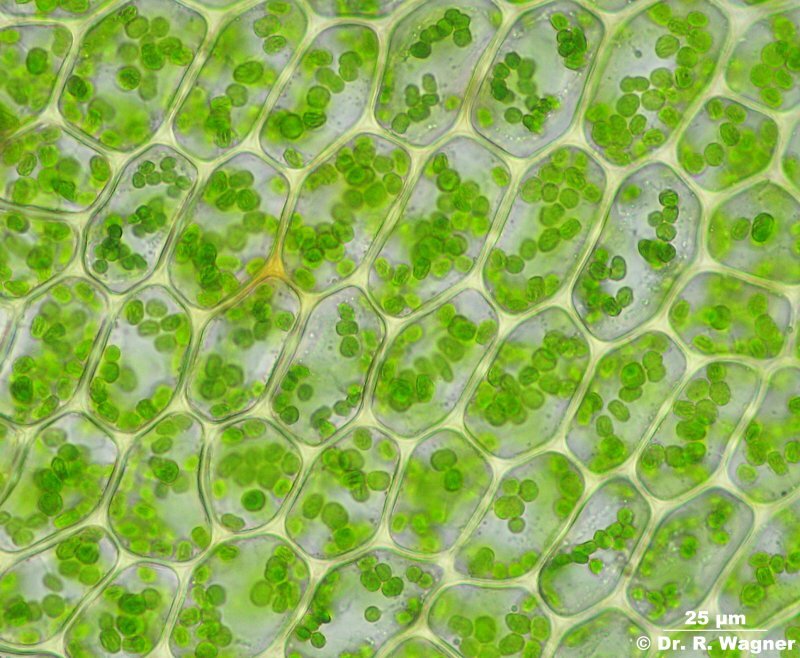 Living things (or organisms to be precise) are complex entities. Even the simplest organism will be made up of millions of different molecules arranged in an organised and complex way. Human beings are organisms made up of about 10 trillion cells of roughly 210 different cell types all put together in a organised and systematic way. It makes it much easier to study such complexity if we have a system to break the complexity down into constituent parts. This is what scientists mean by levels of organisation. All matter on earth including the matter of living things is made of atoms (e.g. a carbon atom, an oxygen atom etc.). Atoms can combine together in a variety of ways to form molecules (a water molecule H2O, a carbon dioxide molecule CO2,) How atoms combine to form molecules is chemistry, and the levels of organisation smaller than an atom forms part of physics, so we won’t worry too much about them…. But molecules in an organism are interesting and worth studying – you learn about carbohydrates, lipids, proteins, DNA in your iGCSE course. These molecules can be grouped together to form structures inside cells called organelles. 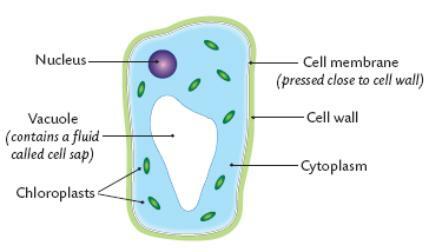 If you are being really precise with your terminology, an organelle is a membrane-bound compartment inside a eukaryotic cell (remember bacterial cells have no organelles at all). 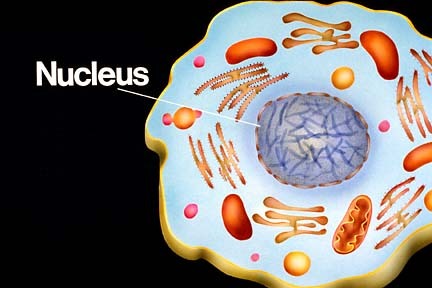 Examples of organelles are structures like the nucleus, chloroplasts, mitochondria and so on. The previous post looked at the structure and function of red blood cells and plasma. Now it is time to turn our attention to the rather more complex topic of white blood cells….. This is a topic in which the complexity can put people off but I am deliberately going to keep things simple (I hope!). If you are thinking about revision for GCSE, don’t worry about anything more complicated than in this post. There are many types of white blood cell found in blood. But let’s keep things simple…. You need to understand the role of lymphocytes and phagocytes in defending the body against pathogens. A pathogen is defined as “a microorganism that can cause a disease” and pathogens may be bacteria, viruses, protistans or fungi. Can you give me an example of an infectious disease caused by each class of pathogen? The structure of these two classes of white blood cell is important. 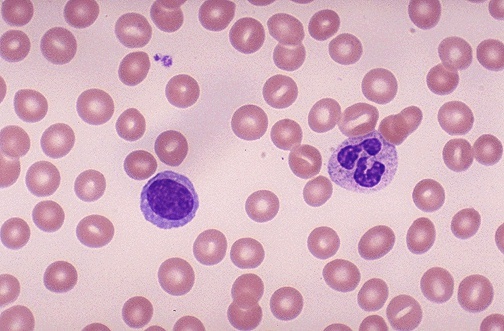 The commonest phagocytes in blood are called neutrophils and they are easily recognised by their irregular shaped nucleus and cytoplasm packed full of granules. 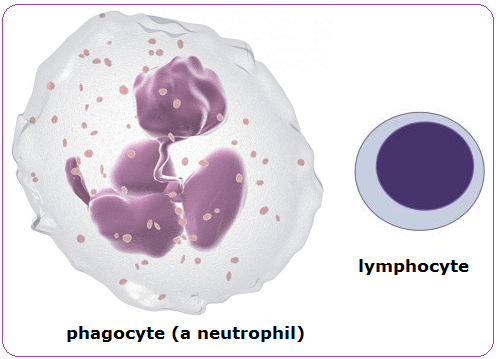 Lymphocytes are much smaller white cells and are identifiable by their clear cytoplasm and large spherical nucleus that takes up 90% of the volume of the cell. So now we should look at how these two types of white blood cells defend the body against pathogens. Remember that the account on this post is an over-simplification of what is in reality an extremely complex process. Let’s start with a phagocyte. These large cells are able to engulf invading pathogens in the blood and tissue fluid by a process called phagocytosis. The phagocyte pushes out projections of its cytoplasm around the clump of bacteria. These projections are called pseudopodia and when they meet, the cell membrane of the phagocyte fuses together leaving the bacteria enclosed in a tiny membrane packet called a vesicle inside the cytoplasm. The phagocyte then fuses other vesicles that contain powerful digestive enzymes with the vesicle with the bacteria in, leading to the death and destruction of the bacteria. Simple. The problem for phagocytes is this: how do they know what to engulf and destroy? This is where lymphocytes come in. One class of lymphocyte is able to secrete small soluble proteins called antibodies into the blood. 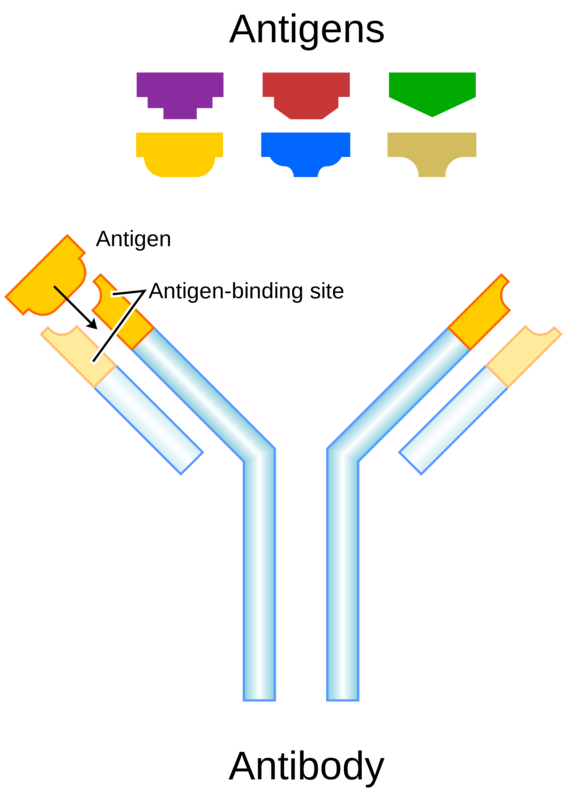 Antibodies are specific to a particular surface marker on the invading pathogen and bind to it because the shape of the antibody and the shape of the surface marker are complimentary. Now people always get confused between antibodies (the small soluble Y-shaped proteins secreted by lymphocytes) and antigens (the surface markers on the invading pathogen). Make sure you are completely clear on the difference in meaning of these two words…. This diagram shows antibodies (green) binding to surface markers (antigens) on a bacterial cell. 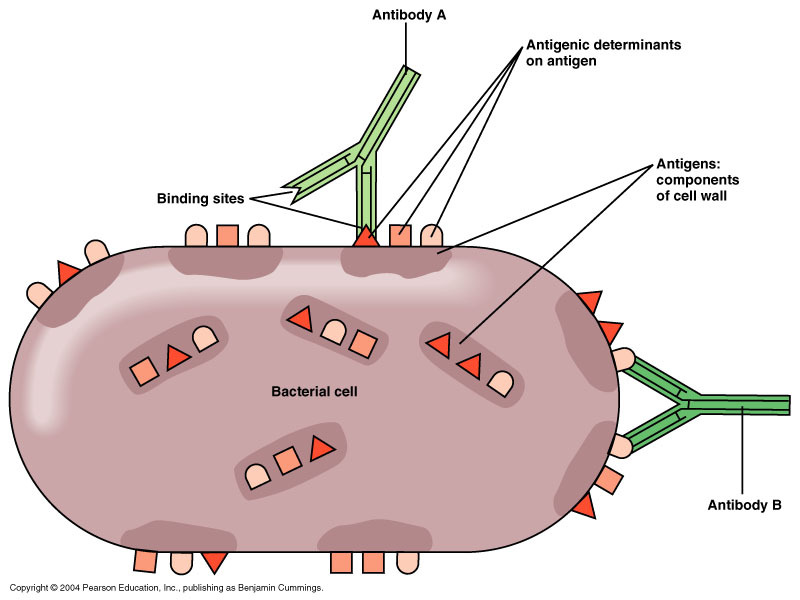 Antibodies produced by lymphocytes will coat the invading pathogen by binding to antigens on its surface. One effect of this is that phagocytes are stimulated to engulf the antibody-coated organism. There are many different types of lymphocyte and not all can produce antibodies. Another important function of lymphocytes is to kill your own body cells when they are corrupted, either by the presence of a virus or by becoming cancerous. Finally, can I draw your attention to two previous posts linked to this one. The first is on the role of platelets in blood clotting, the second on the difficult topic of immunity and how lymphocytes are responsible for giving you lifelong protection against certain infectious diseases. As always, please ask me questions either via the comment section below the post or with a tweet…. I will do my best to respond to any questions from anyone who is bothered to read my posts! Blood is a tissue in the body that plays a variety of roles in transport and in defending the body against disease. It is an unusual tissue since it is a liquid, with many different kinds of cells suspended in a watery solution called plasma. 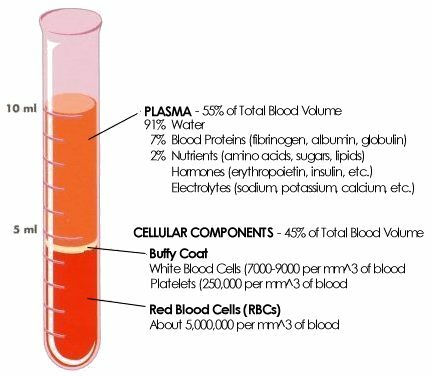 Plasma makes up 55% of the volume of blood and is a solution of many different chemicals in water. 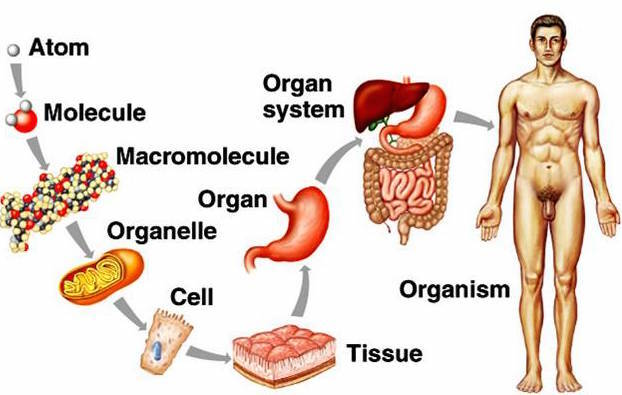 For example, the plasma contains dissolved glucose, amino acids and other products of digestion from the intestines. 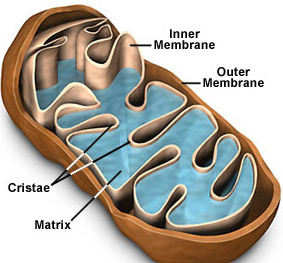 It also transports the waste molecule urea from the liver where it is made to the kidney where it is excreted. Blood plasma contains dissolved carbon dioxide, mostly in the form of hydrogencarbonate ions. 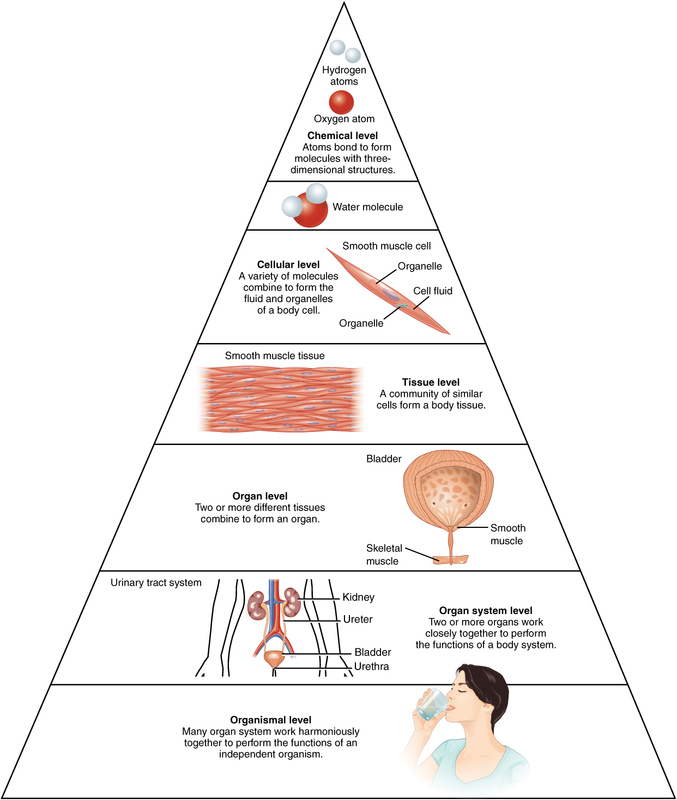 Many hormones (for example testosterone, ADH, adrenalin) are transported in the blood plasma and because the plasma is mostly water, it provides a good way of moving heat around the body from respiring muscles to the skin where it can be lost. The most common cell in blood are the red blood cells (or erythrocytes). These tiny cells are adapted for the transport of oxygen. 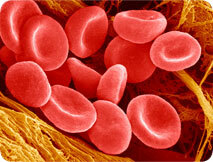 Each red blood cell contains around 270 million molecules of a transport protein, haemoglobin. Each molecule of haemoglobin can bind up to four molecules of oxygen in the lungs and then unload the oxygen when the red blood cell passes through a capillary in an actively respiring tissue. As well as being packed full of haemoglobin molecules, red blood cells have other adaptations for transporting oxygen. 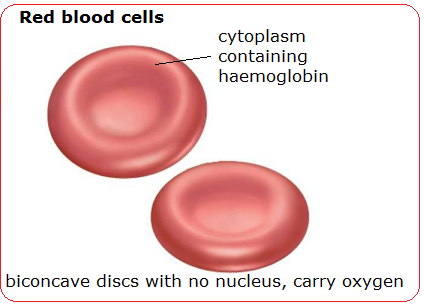 Red blood cells lose their nucleus during their development as this allows more haemoglobin to be packed into each cell. Having no nucleus means the red blood cell cannot divide nor repair damage to its structure. This is why each red blood cell only lives for 100-120 days in the body. Red blood cells have a characteristic shape. It is called a biconcave disc and they have an especially flexible shape. Remember that a capillary is actually smaller in diameter than a red blood cell, so the cells have to squeeze through capillaries in single file…..